"Limited unlimited MetroCards for $100? The MTA needs to stop using fare hikes as a short-term fix and come up with long-term solutions to solve its budget crisis." The MTA has outdone itself. This week, they announced another round of potential fare hikes — including a plan to make "unlimited" monthly MetroCards limitedstarting January 1st. This "limited unlimited" is just the most outrageous part of a new round of fare increases announced by the MTA. But we're sick of this ridiculous cycle. The MTA has to get the message that they can't keep using more and more fare hikes as a short-term fix — they need a real long-term plan to restore the finances of New York City's transit system. Will you join this fight by signing a petition opposing the fare hikes? NYC Transit riders already pay more than our fair share of the cost to keep the transit system running — more than almost any other major city in America. And these increases amount to a new tax on millions of working families. What is the solution? The MTA needs a long-term plan to stabilize its finances and keep subways and buses affordable, one that asks everyone who benefits from the system — riders, commuters, drivers, and area businesses — to pitch in equally. And elected officials in Albany, City Hall, and Washington must stop under-funding public transportation. But the first step is showing the MTA and the politicians that transit riders are fed upand won't take new fare hikes sitting down. We want to create a public outcry against these new increases that's strong enough to put the MTA on notice — so please sign the petition, and then forward this message to all the subway riders you know. Attention job-seekers, organizer types, and progressives!!! To further the goal of electing progressive Democrats at all levels of office in all 50 states,Democracy for America is hiring, training and placing experienced and outgoing individuals to be organizers on key progressive campaigns. 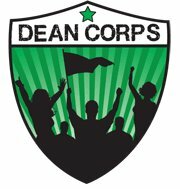 The ‘Dean Corps’ program will run from September 1st through November 8th, 2010. This is the perfect position for individuals interested in starting or renewing a career in progressive politics. The ideal candidate will have at least 1 cycle of paid or volunteer campaign experience. Dean Corps Organizers will be assigned a supervisor on the campaign and will report to the DFA Field Director. Why yes! You can pay me for all the amazing things I do. I accept cash and credit. To pay by credit card, just click the button below to donate to the Frank Susa fund.